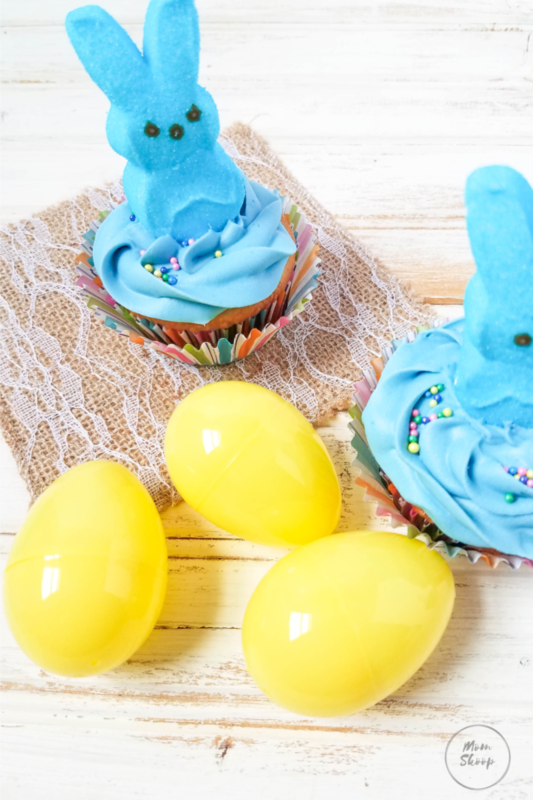 Peeps Cupcakes are a simple, easy, and fun recipe to make this Easter! These will be a hit at the dessert table! 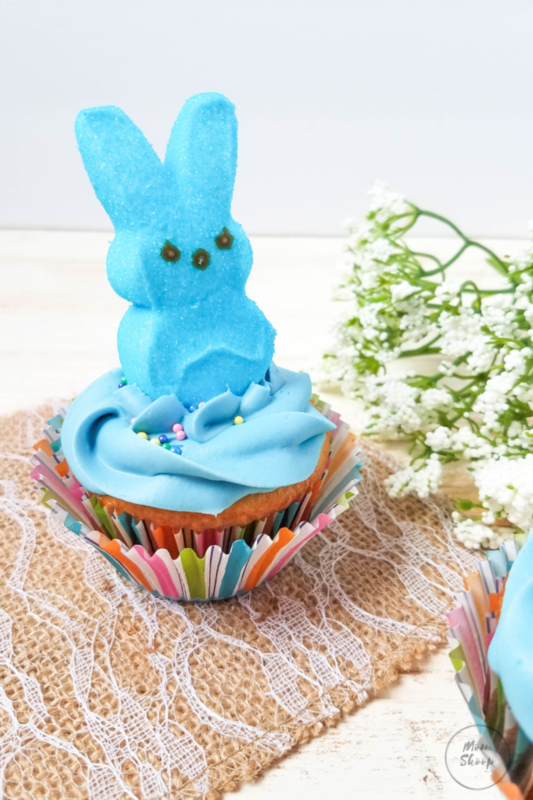 Easter Bunny Peeps Cupcakes are a fun spin on traditional Easter cupcakes. Peeps have been a staple in our pantry for as long as my husband and I have been married. I hate to admit it, but I am one of those people who aren’t fans of them. My husband and kids love them, so I buy them throughout the year. Easter is one of my favorite holidays. Between the bright springy colors, the Easter Egg hunts, the excuse to pick up new clothes, and of course the meaning that Winter is finally over and everything is new and full of life. 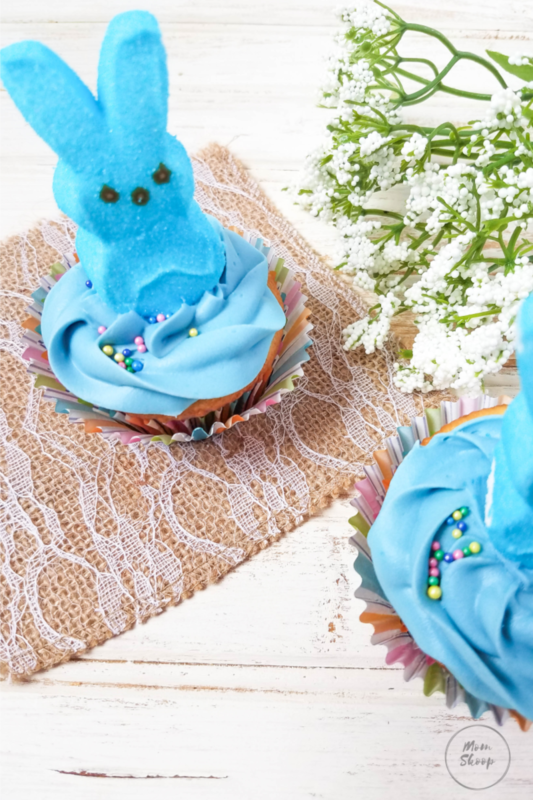 WHAT DO YOU NEED TO MAKE EASTER CUPCAKES USING PEEPS? These tasty cupcakes are made with basic ingredients such as a white cake mix, frosting, sprinkles and a Peep. You don’t need to be a professional cake decorator to make these Spring cupcakes stand out! Pick up some spring cupcake liners, fun Easter sprinkles, as well as colorful frosting. COULD I USE DIFFERENT COLORED PEEPS IN LIEU OF JUST ONE COLOR? Absolutely! 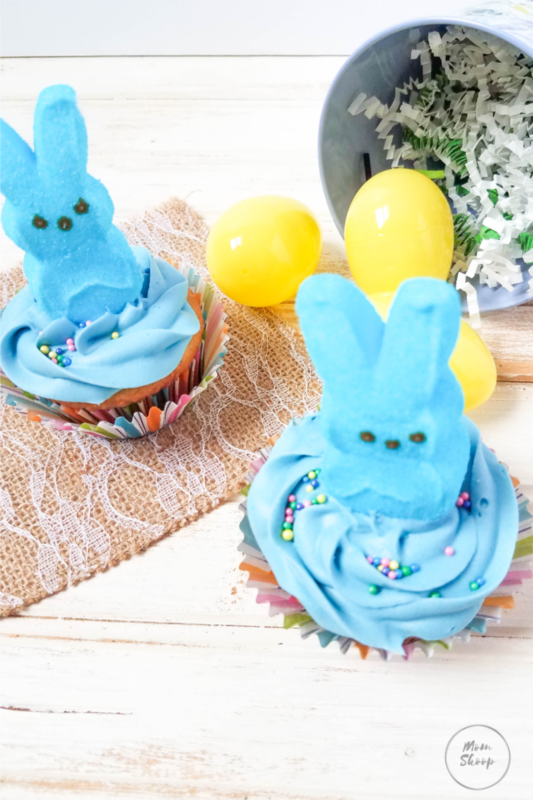 You can make these Peep Bunny cupcakes as colorful as you’d like! WHAT IF THE PEEPS WON’T STAND UPRIGHT AFTER THEY ARE PUT ON TOP OF THE FROSTING? Here is a little trick I’ve learned. Take a toothpick and stick the peeps on top of the toothpick and then place on the frosting. Let those enjoying the cupcakes know though that the toothpick is inside the peep. 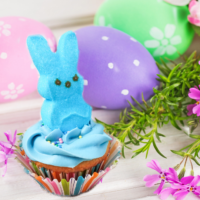 Looking for more Easter Cupcake ideas? Check out these fun recipes! Use your favorite white cupcake recipe or pick up a store bought cake mix and follow those directions for preparing your cupcakes. While the cupcakes are cooling, put 3-5 drops of the food coloring into the frosting, stir well until all of the frosting is colored. Put frosting into a piping bag. Insert a toothpick into the bottom of the Peeps Bunny for stability. 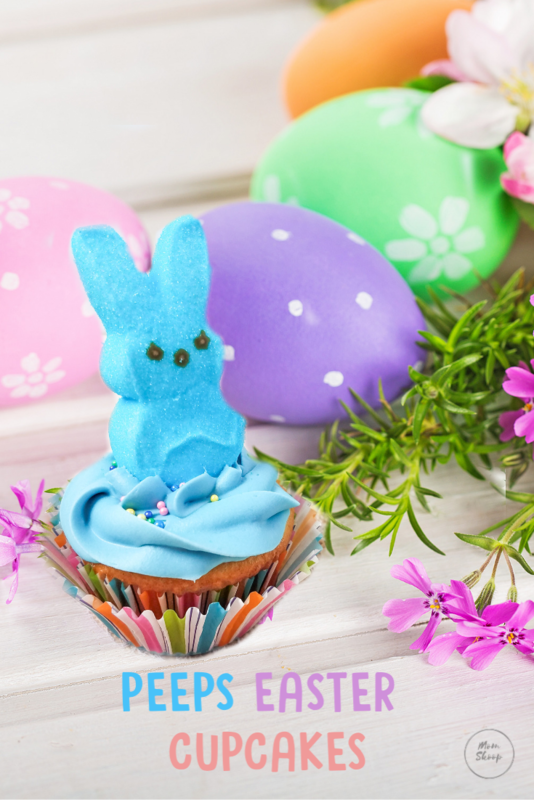 Then place the Peeps bunny in the center of the frosted cupcake. This nutritional information is an estimate. Please refer to the nutrition reference you use.